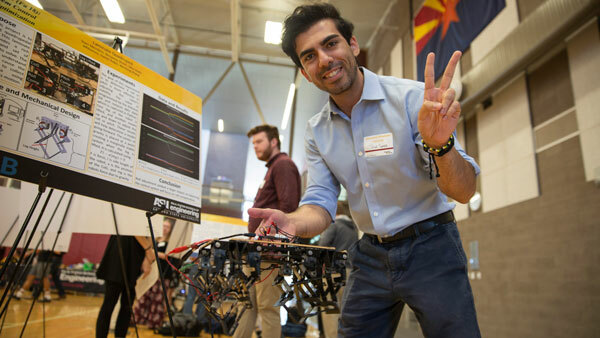 A Sun Devil Pitchfork created by one of the teams at the Engineering Team Building Event. 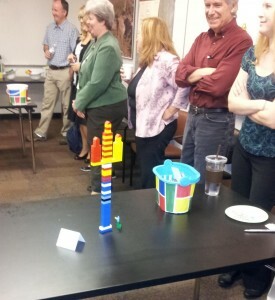 GOEE and Research Services in the Dean’s Office, teamed up to host the recent quarterly Engineering team building event. This quarter’s event, held in Decision Theater, consisted of five teams and a flashback to younger days with a LEGO building contest. Each team had 20 minutes to build a creation of their choice, which were then judged under the categories of most innovative, most creative, best use of LEGOS, most engineering-like and best overall. 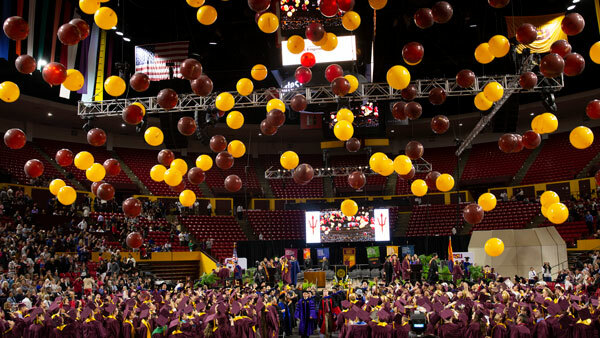 Creations ranged from an iPhone LEGO case to the Student Success Bridge, with the winner of best overall, a replica of ASU’s bowling alley in the Memorial Union. In addition to winning prizes, all involved enjoyed the chance to employ their creativity together.